Although the Cathedral is presently named after St. Elizabeth, the patroness of Jaro is Candelaria, whose feast is celebrated on 2 February. 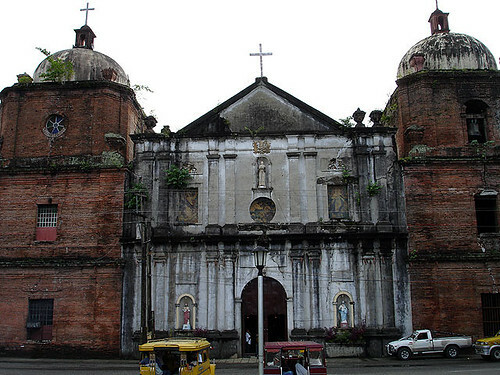 The first church and convento of Jaro was built at Alanga. Frs. Francisco de Santa Maria Oliva and Francisco Ramirez laid out new plans for the town and built the parochial buildings, however, they were destroyed when the Dutch attacked on 12 October 1614. Fr. Pedro del Castillo built a new and stronger church and convento (1639-44). The building were damaged by a typhoon around 1686. 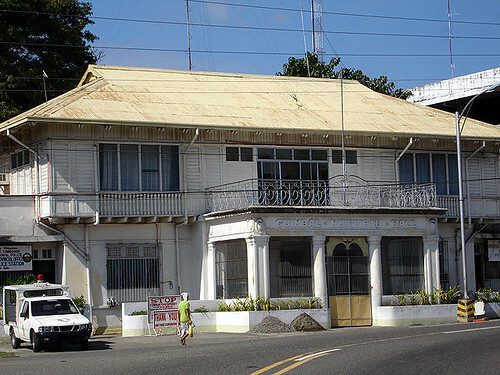 After a series of slave raids, the town, devastated by the attacks, was transferred to its present site between 1722-44. Fr. 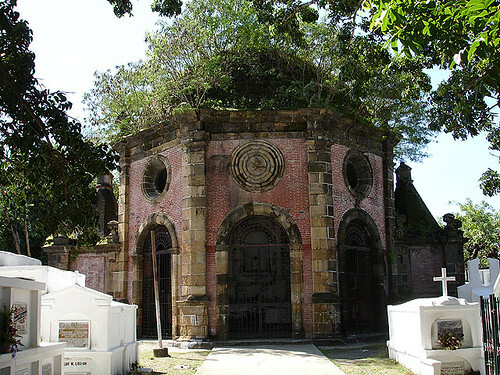 Juan Aguado built a church and convento which were damaged by an 1824 earthquake. Fr. José Alvarez restored the church, tower and convento from 1833-35, setting up a brick kiln on the church site for this purpose. Fr. 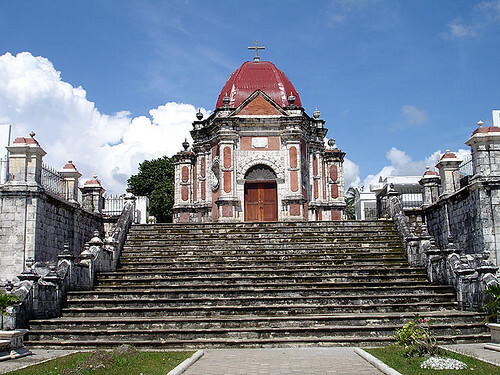 Francisco Aguería drew up plans for a new church, gathered material, had bricks baked and lumber procured from Negros and Iloilo. 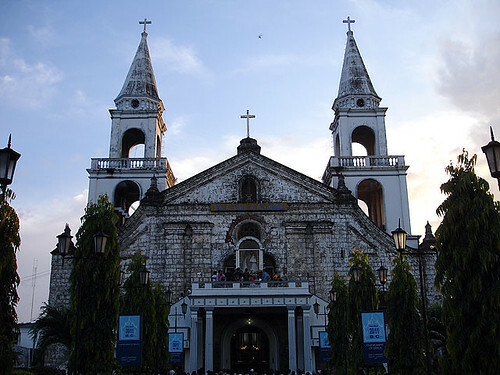 In 1865, the Augustinians handed over the parish to become the episcopal see of Jaro, Bp. Cuartero implemented Fr. Aguería’s plan. The church was damaged by the earthquake of 1848; of the bell tower all but the first floor remained. Damaged by war, the church was repaired and renovated. The façade was renovated during the Papal visit of John Paul II in 1971, with the addition of a balcony above the main door. Dingle Church was built in 1874 using yellowish limestone in Neoclassic Architecture. 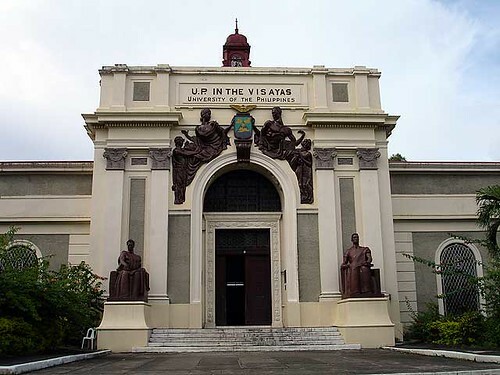 The details of the facade share some similarities with the facades of Lambunao and Duenas Churches. The sole belfry seems to be a mere example of ‘Vulgar Gothic’ which is somewhat a pleasant departure from the Neoclassic wholeness brought by the facade. Along the highway connecting Janiuay to the neighboring town of Mina is a cemetery built on a slope. Described at the time it was finished as “the most artistic in the whole country” the builder of this cemetery was Fr. Fernando de Llorente who commenced work in 1874 and completed the whole project after nine years. The archbishop of Manila, Pedro Payo, blessed the cemetery. 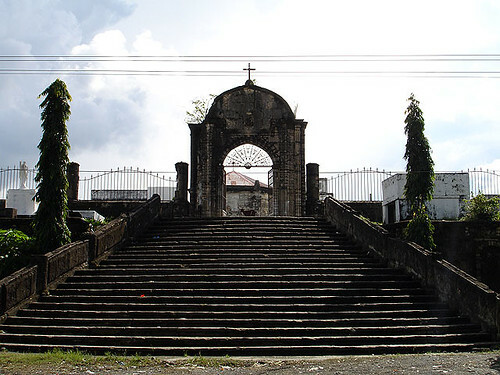 A visita as early as 1719, Cabatuan became a parish 1732, under the advocacy San Nicolás. 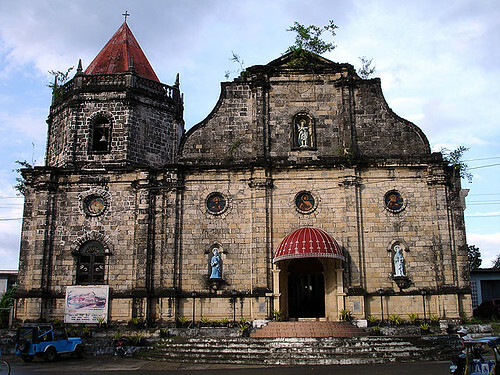 A church and convento was probably built at the foundation of the parish. But the present church traces to the efforts of Fr. Ramón Alquezar who was named prior in 1833. 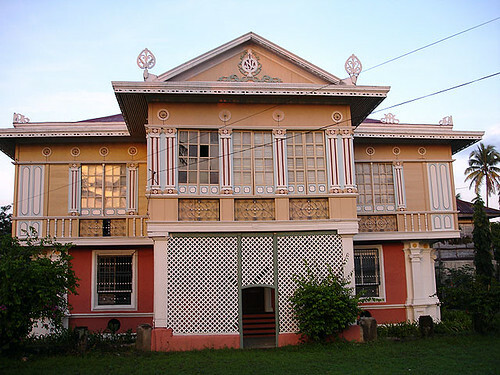 He remained in Cabatuan until 1865. Another author claims that he died on 22 September 1863, at any rate, the church was completed by Fr. Manuel Ruiz in 1866; restored and decorated by Fr. Manuel Gutierrez. Fr. 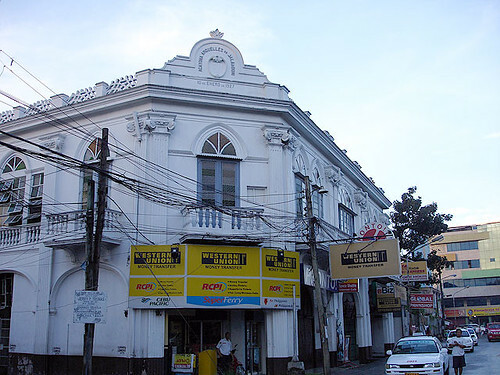 Juan Porras built the convento in 1876.